Welcome to our car, truck and trailer service centre in Regina in Saskatchewan, where we’re courteous, knowledgeable and professional, without exception! Highly competent journeyman mechanics and our "Parts Quote Protection Policy" ensure our customers obtain full value and complete satisfaction when they visit our maintenance and repair service department from Regina, Lumsden, Bethune, Southey, Cupar, White City, Pilot Butte, Pense, Grande Coulee or elsewhere. We’re sure to have done our research on our parts suppliers to ensure your hard-earned money is as well-spent as if it were our own! We offer very, very, very competitive pricing on everything from SGI inspections to oil changes to alignments to brake jobs. 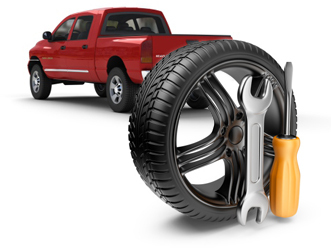 Our "Travel Safe" oil change and inspection will allow you to travel with confidence. For your convenience, you can book your next service visit directly online!